Solid cast aluminum, 24” x 24”. 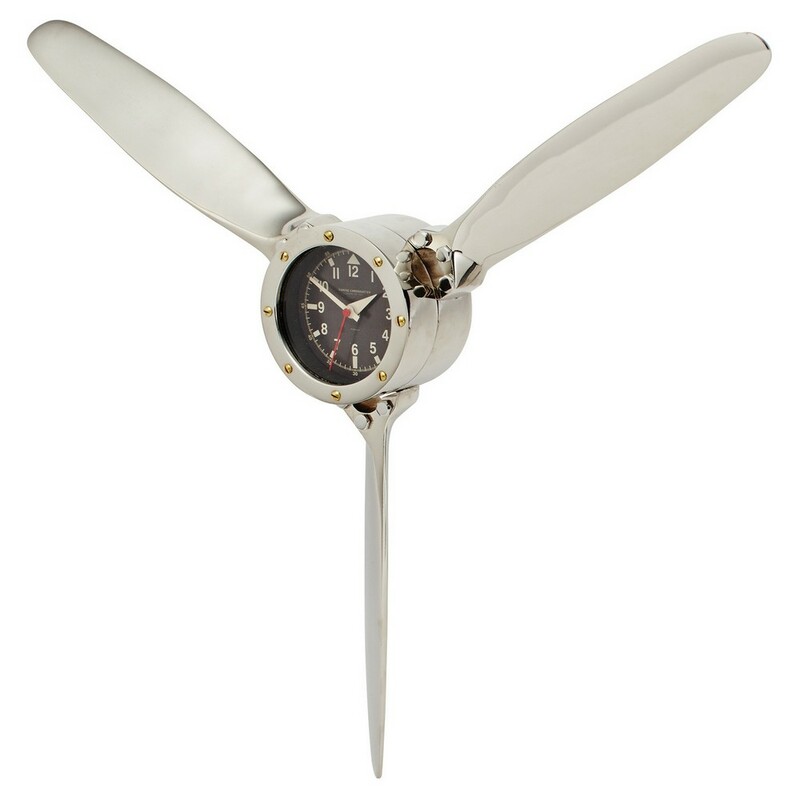 Inspired by the three-blade propellers of the iconic Douglas DC-3, the Propeller Wall Clock pays homage to that aircraft’s famous durability with the solid aluminum construction and brass fasteners. 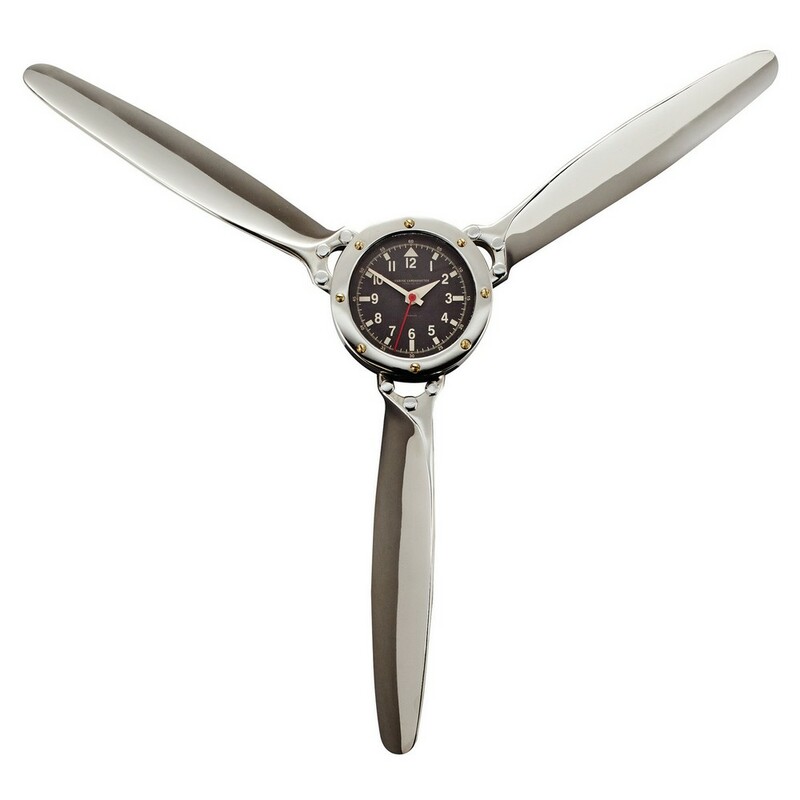 The three solid cast aluminum blades are individually attached and convene on an authentic period dial. 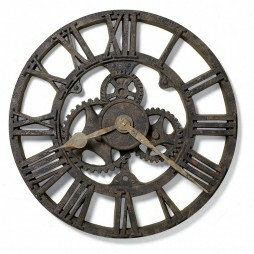 With a meticulous design and robust built, this Howard Miller O’Brien Two-sided Station Wall Clock accentuates your wall with least efforts. 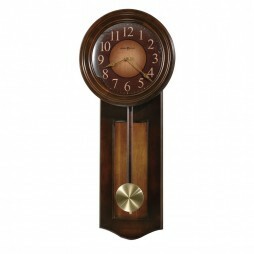 This double-sided clock swivels in a wall-mounted bracket for unique placement opportunities. The two clocks run with two separate movements, and may be set to the same time, or different time zones. 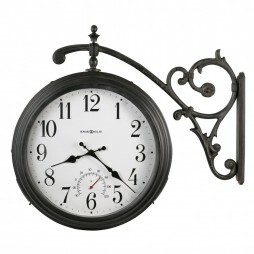 Aged iron small station clock features dual time with weather resistant movements. 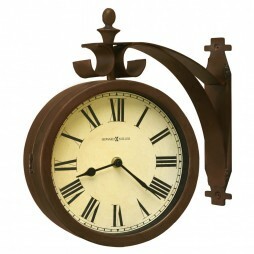 Complementing well with your home interiors, this lovely clock can also be a great gifting option.